Today the New Hampshire Appalachian Mountain Club Paddlers (NH-AMC Paddlers) conducted a trash patrol on the Contoocook River in Henniker, NH. 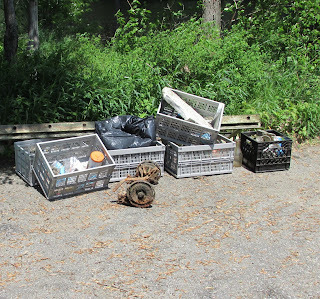 This was the second in a series of monthly trash patrols organized by club member Denise Hurt. The club's trash patrols are scheduled for the first Saturday of each month through September. The NH-AMC Paddlers were joined, on today's patrol, by members of the Merrimack River Watershed Association and myself. In total, we numbered 9 paddlers in 9 boats and our flotilla headed upriver from the U.S. Army Corps of Engineers River Road Boat Launch in Henniker (opening photo). Participants included Dean, Debbie, Denise, John, Ron, Sally, Sue, Whit, and yours truly. ...and in addition to the usual plastic bottles, cans etc. 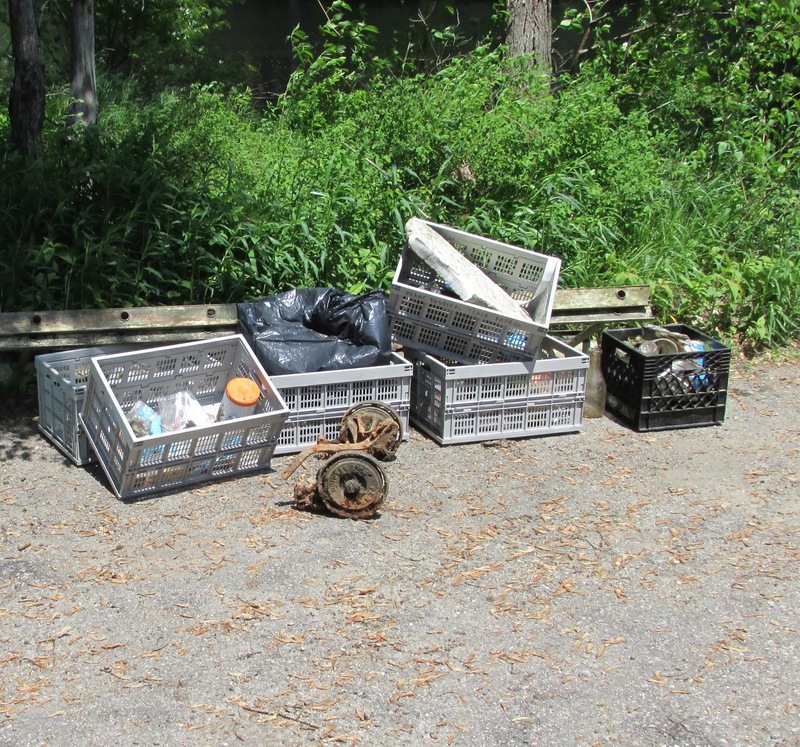 was an aluminum extension ladder and an old reel-type lawn mower that's been resting in the river for quite a while. The next trash patrol by the NH-AMC Paddlers will be conducted on the Merrimack River, starting from Tyngsboro, MA on Saturday, July 6th.